If two water diversion tunnels could help solve California’s water delivery woes, can one tunnel be even better? 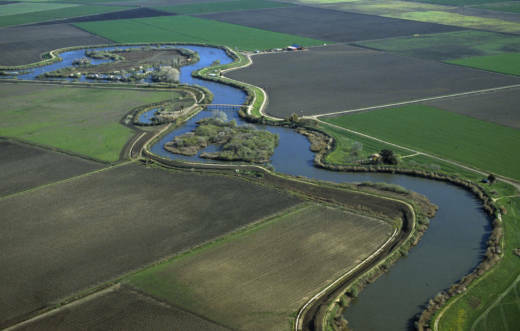 Over the past decade, state officials have designed a massive plumbing solution for the Sacramento-San Joaquin Delta. 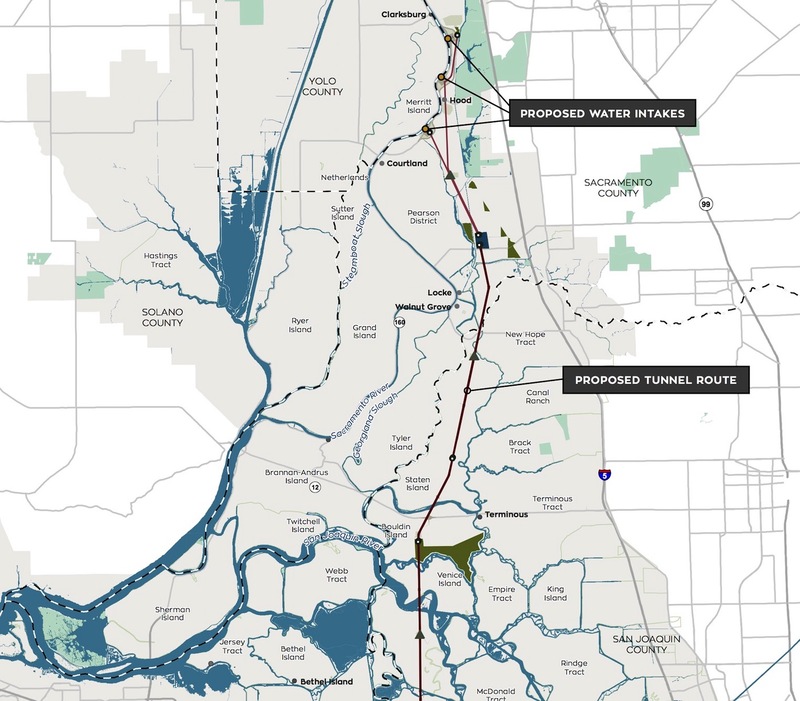 Known as California WaterFix, it involves building two giant tunnels to divert a portion of the Sacramento River’s flow underneath the estuary and directly to existing diversion pumps and canals near Tracy. The cost is estimated at more than $15 billion. The project is aimed at making freshwater diversions more reliable while also protecting native fish from being killed by the current water diversion system. An estimated 25 million Californians and 3 million acres (1.2 million hectares) of farmland rely on those water diversions today. The idea of a single tunnel was first proposed in 2013 by a coalition of water agencies and environmental groups led by the Natural Resources Defense Council. Now there’s fresh buzz around the idea after water experts at the Public Policy Institute of California, a prominent think tank, published an op-ed in the Sacramento Bee urging state officials to reconsider the idea. The proposal calls for a single tunnel capable of moving water at 3,000 cubic feet per second (85 cubic meters per second). That sounds like a lot less than two tunnels jointly diverting 9,000 cubic feet per second (255 cubic meters per second). But in reality, one tunnel would deliver only about 10 percent less water, according to the state’s own 2013 analysis of the proposal. That’s because a major reason for a second tunnel is to provide backup, in case one tunnel goes down for maintenance or is damaged somehow, said Erin Mellon, a spokeswoman for the California Natural Resources Agency. She also notes that building one tunnel instead of two won’t cut the cost in half. The state estimated it could save $3 billion, because many up-front costs won’t change much, such as project design and land acquisition. But Hanak said $3 billion is a significant saving when a number of water agencies remain on the fence about investing in the project. Another motivation, Hanak said, is simple goodwill. Many opponents cite the fact that dual tunnels have capacity to divert more than 9,000 cubic feet per second from the Sacramento River. The only thing holding them to that number are the rules governing tunnel operations. And many Delta residents and environmental groups have little faith in those rules. Hanak said a single tunnel might ease a lot of opposition to the project. It also might avoid some litigation that would delay construction, which will only drive up costs further. After publication of the PPIC op-ed, several environmental groups released statements expressing an open-minded attitude toward a single-tunnel solution. Most of them understand, after all, that the reliance on current water diversions in the South Delta is part of the problem for native fish species. One of them is the Golden Gate Salmon Association, which represents commercial and recreational fishermen and the businesses that rely on them, including bait shops and restaurants, as well as tribal organizations and coastal communities. Roger Patterson, assistant general manager of the Metropolitan Water District of Southern California, said he’s open to new discussions about a single tunnel. Metropolitan, with its large urban ratepayer base, is considered the biggest financial backer of the tunnel project. Those goals refer to the requirement, now enshrined in state law, that a Delta fix must improve water supply reliability while also restoring the ecosystem. Patterson said dual tunnels perform better for water supply reliability because they are large enough to take a “big gulp” from stormwater outflow, a time when water diversions are less harmful to fish. Two tunnels also might perform better for the ecosystem, because they would mean less reliance on existing diversion pumps in the south Delta, which reverse natural water flows and kill millions of fish every year. The current two-tunnel proposal would still use the south Delta pumps about half the time. A single tunnel would probably keep the south Delta pumps in play even more often, although that level of analysis hasn’t been done yet. If an alternative is going to get serious consideration, it has to happen soon. After a decade of work, the plan for two tunnels is close to approval: A final environmental impact study is expected by mid-2017, with a notice of decision likely by year end. A single-tunnel option is not among the options analyzed in that environmental impact study, so even adding it as a formal alternative would create delays. “It’s pretty clear that we are moving forward with the WaterFix as it stands today, based on the fact that we’re really coming to the final stages in a lot of these important permitting discussions,” Mellon said.